Questions about Illustrator, Adobe's vector digital file editing, creation application and tools. Ask anything related to designing graphics with Illustrator. 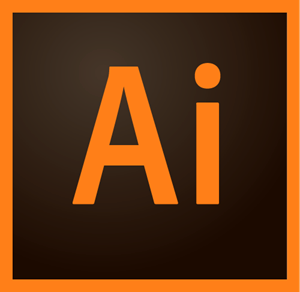 Adobe Illustrator is primarily a vector graphics program with limited raster capability. Vector graphics use geometric primitives such as points, lines, Bézier curves, and shapes or polygons (which are all based on mathematical equations) to represent images. Vector graphics are resolution independent allowing them to be scaled up to an arbitrary resolution without loss of apparent quality. Vector graphics scaled to extremely small sizes will begin to lose quality and may be too small for the display to represent clearly. The industry-standard vector graphics application lets you create logos, icons, sketches, typography and complex illustrations for print, web, interactive, video and mobile.